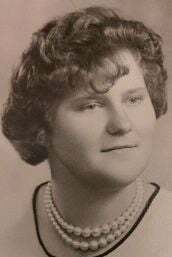 LaDonna M. Lassen, 69, of Menomonie died Friday, Feb. 1, 2019, at American Lutheran Home in Menomonie. LaDonna was born Oct. 6, 1949. She was the daughter of Arnold W. and Marion H. (Fischer) Bundy. LaDonna was born into a family of nine siblings and two loving parents with limited means. She attended grade school and high school in Elmwood. School was difficult for her but with the help and encouragement of her teachers and classmates in her small town school, she received her high school diploma in 1968. After high school, LaDonna worked for several years in a laundry and then as CAN. She was forced to stop working in 2008, due to mounting health problems. Her health further declined as she began thrice weekly dialysis in 2013. In the spring of 2018, she was found to have widely metastatic cancer. She thoughtfully declined treatment for this devastating, terminal disease. LaDonna continued on with life until days prior to her death, when she terminated her dialysis and accepted the inevitable. LaDonna faced her challenges in life with courage and resignation. She viewed her failed marriage as a learning experience and did not lament her seemingly unfair lot in life. She commented that her mother always told her that she was the child she did not need to worry about as she would always be able to take care of herself. LaDonna is survived by many family members and friends, who give thanks to her for her enduring lessons in resilience and personal strength. Per LaDonna’s wishes, there will be no formal services.